We had a great day in Boston walking around The Boston Public Garden. On the hill we came across 37,000 flags. Each one representing a Massachusetts fallen Hero. I thought it was a interesting display where people can reflect on the meaning of Memorial Day. This display of flags is presented on the hill in the Boston Public Gargen. It was a very impressive sight for sure, and when you read what was on the sign you will understand. To all that served or are currently serving. Thank you for your service. Memorial Day isn’t just another holiday. 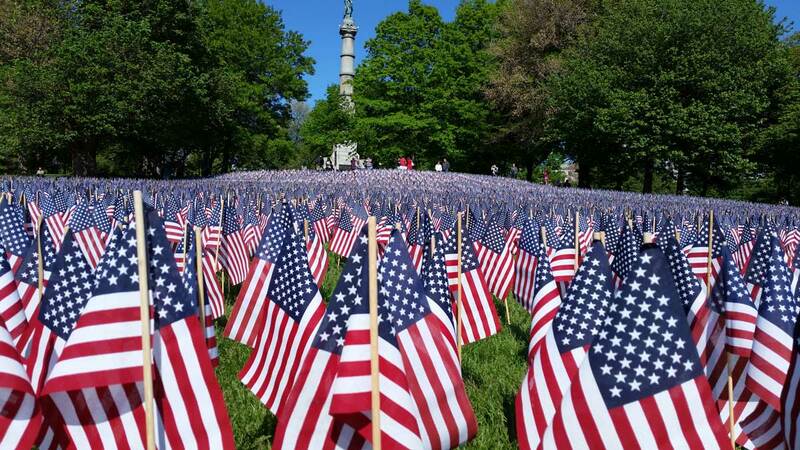 This garden of 37,000 flags was planted in memory of every fallen Massachusetts service member from the Revolutionary War to the present. These flags will be on display throughout memorial Day weekend for your observation and reflections. Please remember and honor the ultimate sacrifices of our local heroes. 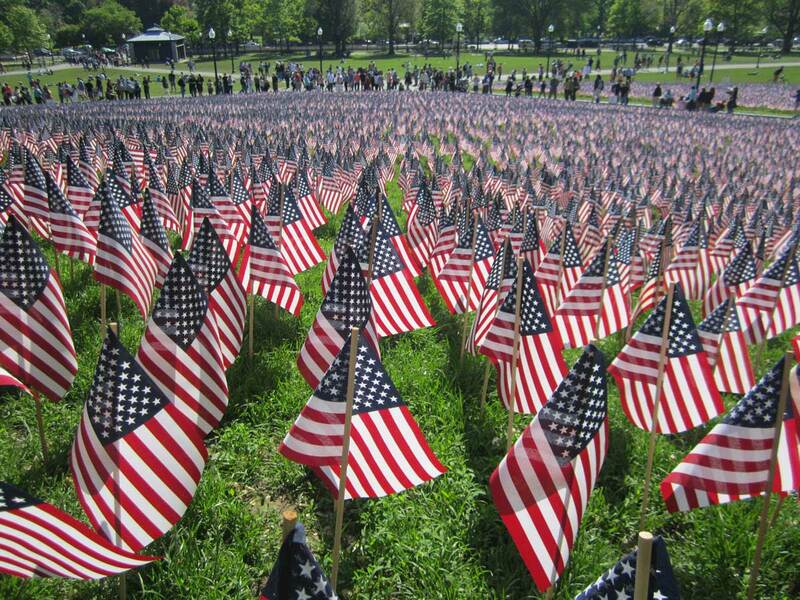 Each flag represents a fallen service member; please respect the display.